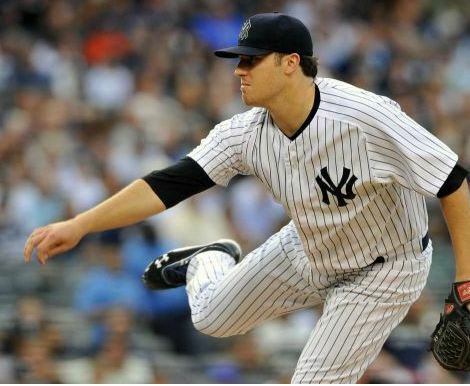 It’s nothing new when I admit that the Yankees haven’t always pleased me with trades, whether they have occurred during the offseason or at the deadline. The deadline especially is an extremely nerve-wracking time of year where you NEVER know what’s going to happen. Since I’m weird in my choice of favorite players (Francisco Cervelli is my favorite despite being in Triple-A), I know that none of my guys are ever safe from being shipped away. And I hate when they’re shipped away for no one. 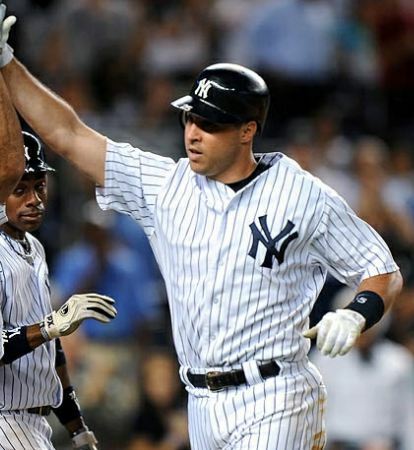 The Yankees – although having just been swept by the A’s out west – are in undeniably solid shape this season. Everyone knows about their fair share of injuries, but the guys who have come back have come back strong, like CC Sabathia. 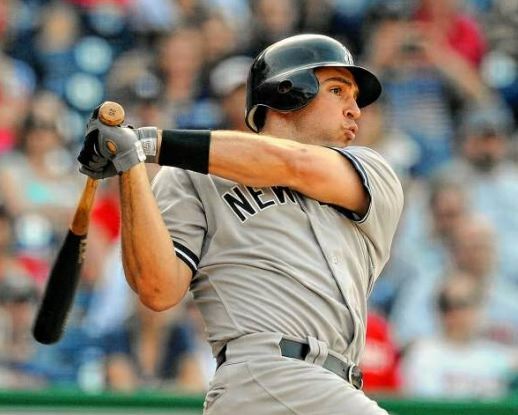 And the guys who are going to remain out, like Brett Gardner, have surprisingly successful guys filling their shoes, like Raul Ibanez and Andruw Jones. 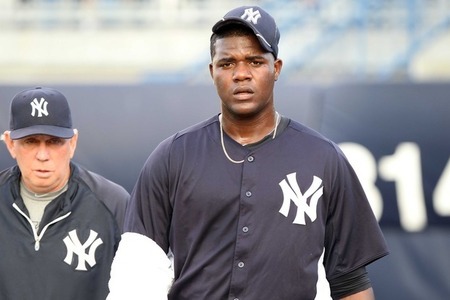 Guys like Ibanez and Jones, along with Eric Chavez, Jayson Nix, and Chris Stewart, in my opinion have proven to be the best bench the Yankees have had in awhile. It hasn’t been this good since the 90s days that I barely remember – but I do remember that the 90s were filled with championships for the Yankees, and a good bench is important if you want to win. Turns out, my family was ecstatic over the latest Yankees news: ICHIRO HAS BEEN TRADED TO THE BRONX! It was just for two pitching prospects, D.J. Mitchell who I saw a few times this year (wasn’t overly impressed) and Danny Fahrquar (who I’ve never heard of). It seems like it’s been awhile since I’ve said this, but I’m ecstatic over this trade, too. 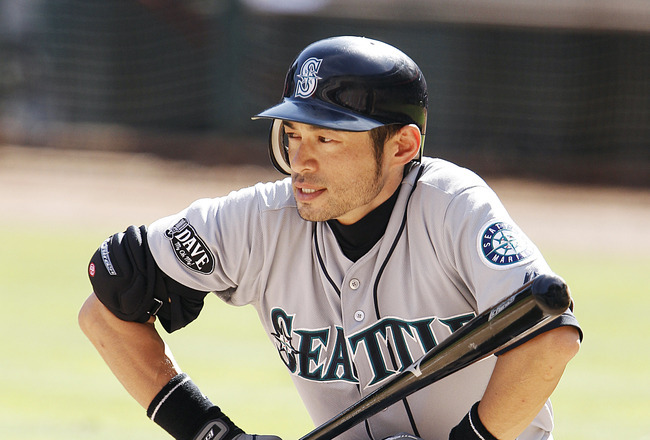 Ichiro amazed the world when he came to America from Japan – and actually performed above and beyond our expectations. I truly believe he’s the best Japanese player who has come here, and without a doubt he’s a first-ballot Hall of Famer. Naturally, guys don’t play like they’re in their prime forever, and at age 38, Ichiro has slowed down a bit. He’s hitting just .261 this season. 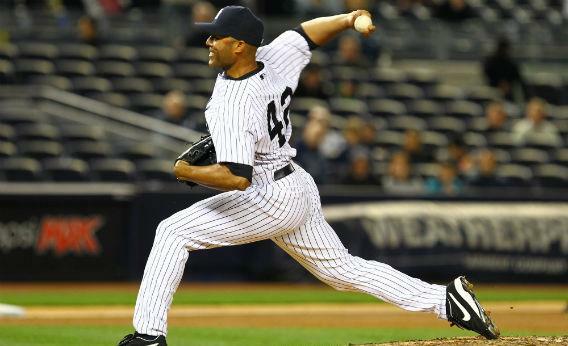 But still – the Yankees acquired a future Hall of Fame veteran for barely anything. He’s the kind of guy that I never saw coming – and perhaps the kind of guy who can really help this team. Something interesting about Ichiro, which may have influenced the Yankees’s pursuit of him, is his success against AL East teams. For his career, Ichiro hits .300 against the Rays, .304 against the Red Sox, .333 against the Blue Jays, and .356 against the second-place Orioles. If nothing else, I think Ichiro will help the Yankees beat these teams and continue to gain the ground they need in the AL East. This may be just what the Yankees need. Even if his overall offensive numbers are not where we’re used to them being, there’s no denying that Ichiro is an incredible outfielder. Where’s he going to play? I’m not sure. 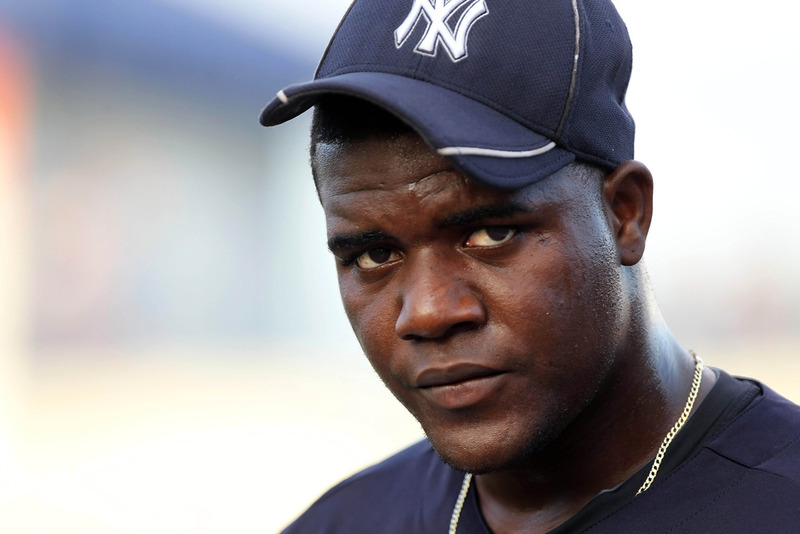 The whole Yankees team this season seems like a giant platoon system, with this guy DH-ing every other day, that guy hitting against lefties, and those guys resting because they’re old. Ichiro will probably just slide right into this platoon system. Combine him with starters Granderson and Swisher, and Ibanez and Jones from the bench, and the Yankees have a killer outfield system. Tonight against the Mariners (how ironic!) Ichiro will hit 9th and play left field for my Yankees. It will be interesting to hear how the Seattle crowd responds. 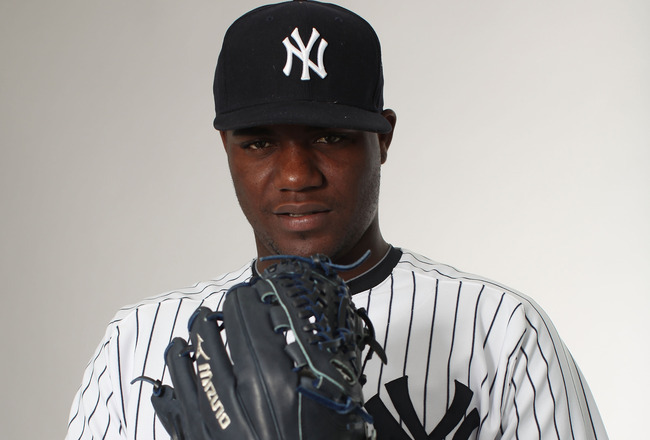 And I know it’s going to be fun to see him on my Yankees. 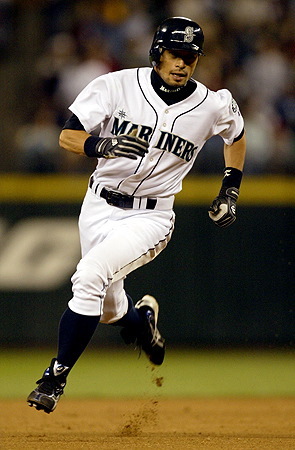 He’s not what he used to be, but he’s still Ichiro, and is still a legend. 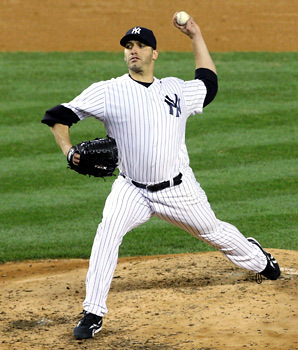 Legends – that’s what the New York Yankees are made of, am I right? 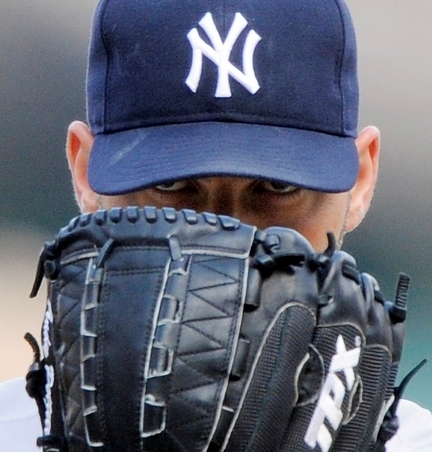 Still have another week until the deadline….I wonder what other surprises the Yankees will come up with next. Random Radio Show Recommendation and Blogging for Class! I just began classes for second semester this week. 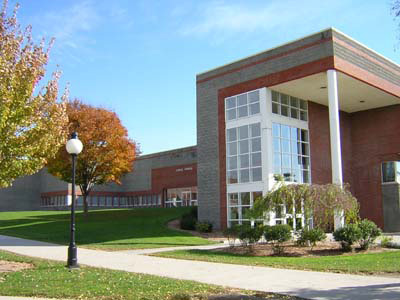 One of them is one of the foundation classes for all Communications majors, called Digital Toolbox. I didn’t know what to expect – it sounds all technical, and “technical” I definitely am not. But my adviser teaches it, and she’s cool. The projects seem cool too, and it doesn’t seem all that scary or technical at all. Our first assignment is to make a site with WordPress. I’ve already got that covered! Hope I can use this site, if not I’ll just make another, but I’m still going to do whatever I learn in class on here as well. I’m going to be adding stuff on my blog here to go along with the assignment, like a portfolio page and other requirements. My professor suggested that we update throughout the semester and have some sort of “theme,” which sounds exactly what I’m doing already (though I hope to update MORE). So since the big splash is out of the way for the Yankees, and since I felt obliged to post for class, I’ll do something different. 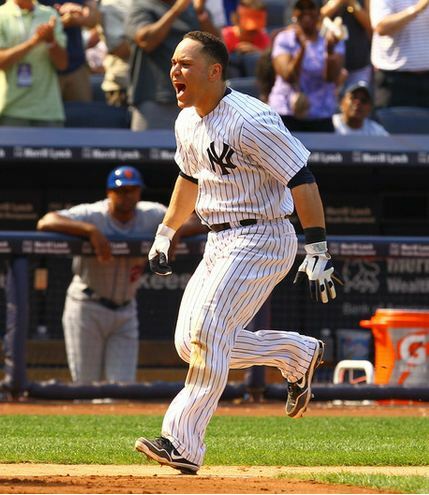 As some of you may know, aside from this blog, I also am part of FanVsFan with my site at http://pinstripepartisan.com. The FanVsFan community is just as amazing as MLBlogs. 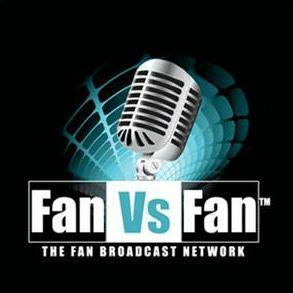 A lot of cool stuff goes on in the FanVsFan Network, especially at their radio network. Last night, it was suggested that I tune in to “Airin it Out with The Bone and Giz.” Now I didn’t know what to expect, and I was trying to refrain from letting the name of the show lead to any snap judgements. Bone and Giz definitely earned two thumbs up from me. The show was extremely entertaining, and they covered a wide variety of topics. I didn’t even mind when they stopped talking about baseball. I’m not much of a football fan at all, but they even discussed the NFL Playoffs such that I was actually quite interested. This week, Bone and Giz were joined with a special guest, the beat writer for the New York Post, Mike Vaccaro. Anyone who loves New York sports, or anyone who is an aspiring sports writer, has got to look up to Vaccaro. 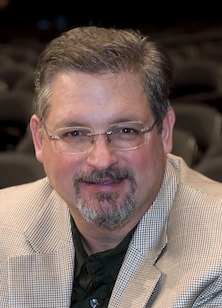 He has been with the Post since 2002, but in over 20 years of journalistic excellence, Vaccaro has covered a vast array of sporting events, including four Olympics, 12 World Series, 10 Super Bowls, eight Final Fours and five U.S. Opens. I especially enjoyed when they discussed a “Day in the Life of Mike Vaccaro.” Life as a New York sports journalist is never boring. As he said, “There really aren’t two days that are exactly the same.” It’s always exciting and unpredictable. Other topics were introduced, and some interesting comments were made. 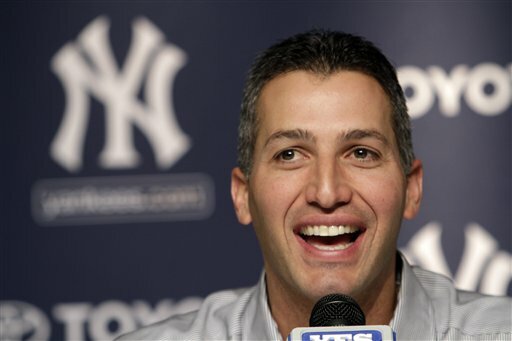 Vaccaro said that Alex Rodriguez is the greatest player he has ever seen – and he has seen quite a few. Not sure if I agree with that, but I’m not going to argue with him! I suggest that you tune in to this show, you won’t be disappointed. From Yu Darvish to Mark Wahlberg, to the NFL Playoffs to jean shorts, Bone and Giz have something for everyone. It is fast-paced and there isn’t a dull moment in the entire show. Not to mention, Bone and Giz are a hilarious team who work extremely well together, and Mike Vaccaro was an incredible guest. “Airin’ it Out with The Bone and Giz” airs every Thursday evening from 8-9:30pm on the FanVsFan Radio Network. Check out Mike Vaccaro’s work at the New York Post. You can also follow him on Twitter at https://twitter.com/MikeVacc.